Ron Weber made his college's record book, just not always in the ways he likely wanted. Pitching at the University of Arkansas at Little Rock, Weber gave up 66 walks in 1989, the highest single-season total at the school. He also led his team that year in some other non-preferred categories of losses, runs allowed and home runs allowed. He did lead the team in strikeouts. Weber took that college performance, though, to a career as a pro. He played in six seasons, making it to high-A and into independent ball. Weber's professional career began that year in 1989, signed by the Cardinals as an undrafted free agent out of Little Rock. Weber started with the Cardinals at rookie Johnson City. He got into 15 games, starting four. He went 3-3, with a 1.54 ERA, striking out 37 and walking 31. He went 3-1 in his four starts, without giving up an earned run. He then moved to single-A Springfield for 1990. He went 5-10 then, over 29 outings, 23 starts. He turned in a 3.47 ERA. Weber made single-A Savannah and high-A St. Petersburg for 1991, going 4-11 on the year, with a 5.50 ERA. He then rounded out his Cardinals career in 1992 at St. Petersburg. In 24 outings, 17 starts, with a 3.25 ERA. 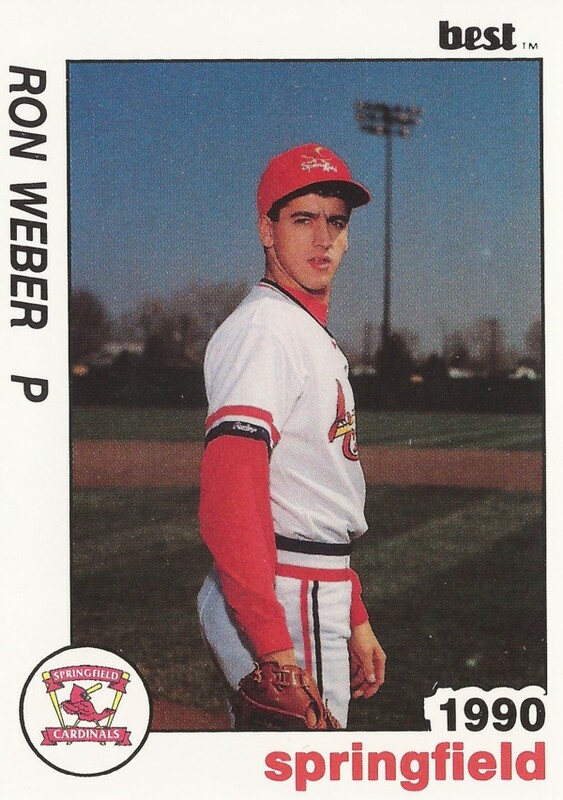 Weber then played two final seasons in independent ball in Canada in 1995 and 1996, at Thunder Bay and Regina. He last played in 1996, getting nine relief outings at Regina.